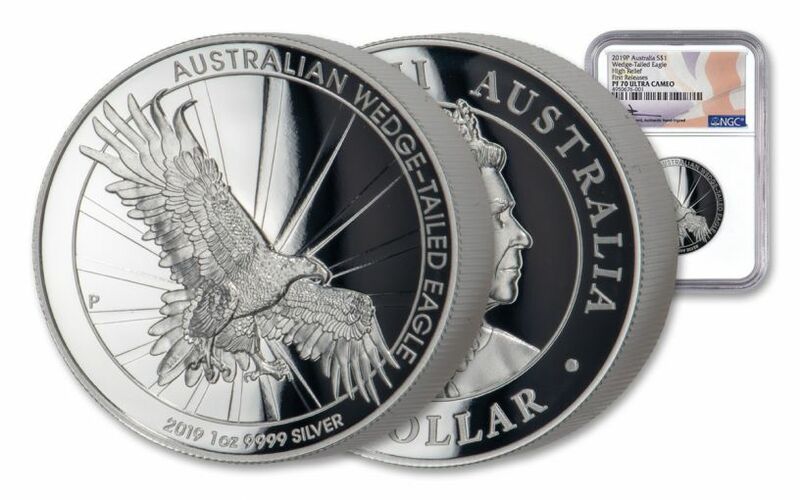 Your 2019 One-Ounce Silver Wedge-Tailed Eagle has been graded by the Numismatic Guaranty Corporation (NGC) as being in flawless Proof-70 Ultra Cameo (PF70UC) condition, a distinction that means your perfectly-graded coin will have ZERO imperfections – showing all features and fields exactly as the engraver and mint intended! In addition, NGC has graded your Wedge-Tailed Eagle to be a First Releases (FR) coin, a designation that means your proof was received by NGC or an NGC-approved depository within the first 30 days of the its release. To top it off, your coin will come sonically sealed in an acrylic holder along with a label that has been personally signed by John Mercanti! 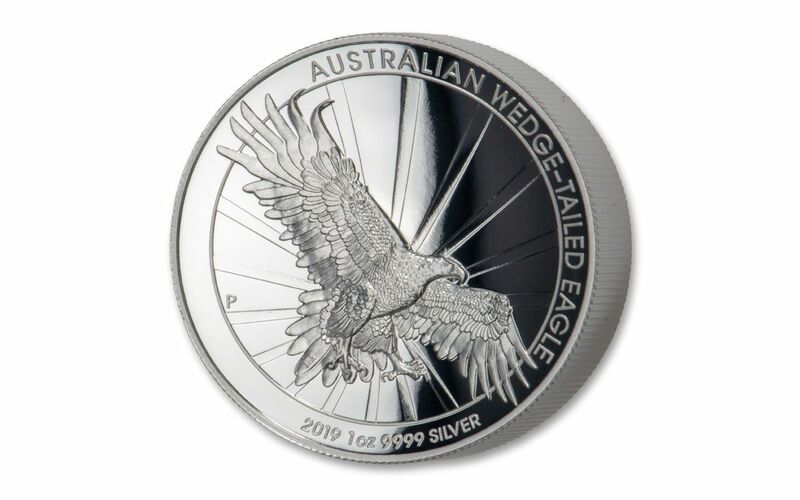 With a mintage of only 10,000 one-ounce silver high relief proofs, you will need act fast to capture your 2019 One-Ounce Silver Wedge-Tailed Eagle. Since taking flight, this series has been immensely popular, so order yours now because these Eagles may not be around for long. Click one to your cart today! STRUCK IN HIGHLY-PURE SILVER – Each 2019 Wedge-tailed Eagle coin was struck in stunning high relief from one ounce of highly-pure 99.99% silver at the Perth Mint, which is represented by a "P" mint mark on the left side of the reverse. 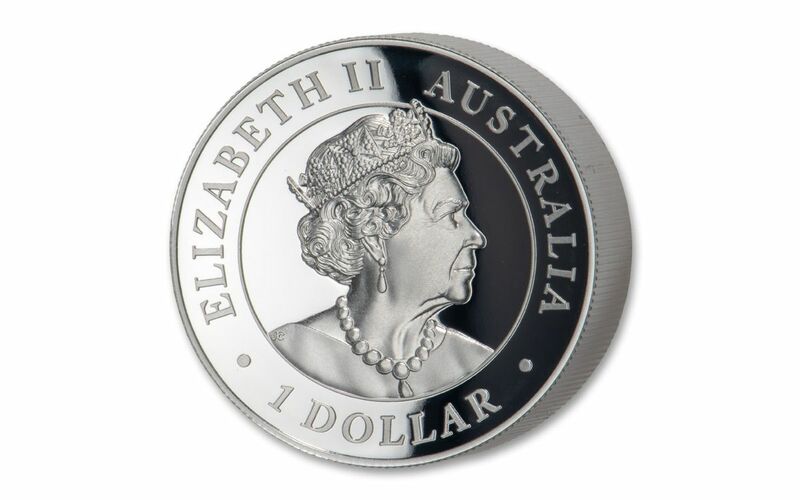 The Perth Mint is revered by collectors throughout the world for the consistent, outstanding quality of its coins. 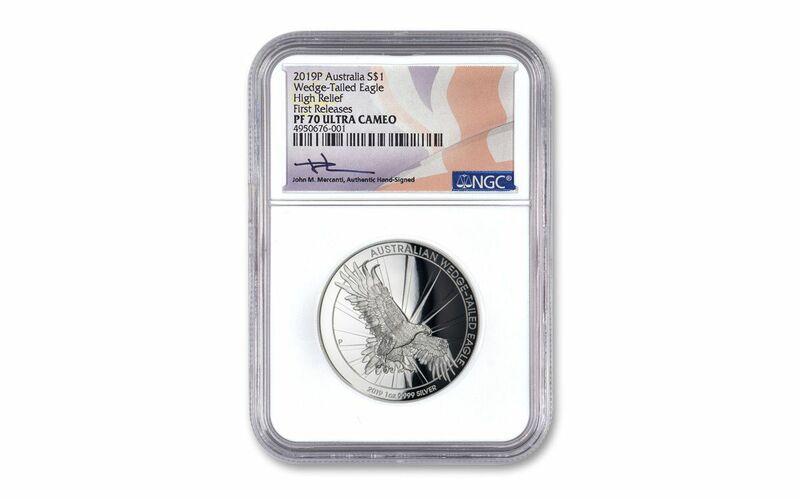 GRADED IN PERFECT PROOF CONDITION – Your 2019 One-Ounce Silver Wedge-Tailed Eagle has been graded by the Numismatic Guaranty Corporation (NGC) as being in flawless Proof-70 Ultra Cameo (PF70UC) condition, a distinction that means your perfectly-graded coin will have ZERO imperfections – showing all features and fields exactly as the engraver and mint intended! KEY FIRST RELEASES CERTIFICATION – NGC has graded your Wedge-Tailed Eagle to be a First Releases (FR) coin, a designation that means your proof was received by NGC or an NGC-approved depository within the first 30 days of the its release.